The First Annual Reason to HOPE luncheon was held at the Indian Wells Golf Resort on April 4th. 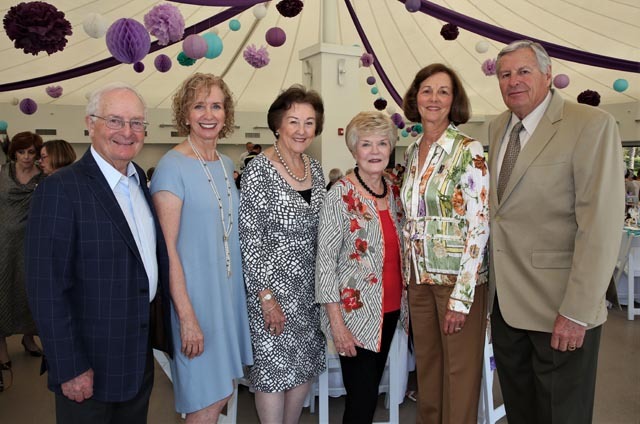 The event was a fundraiser for the Alzheimer Association of the Coachella Valley. The luncheon was held in the beautiful venue on the hill at the Golf Resort. Patrick Evans was the emcee and Cortney Weir; the regional director welcomed all the guests. 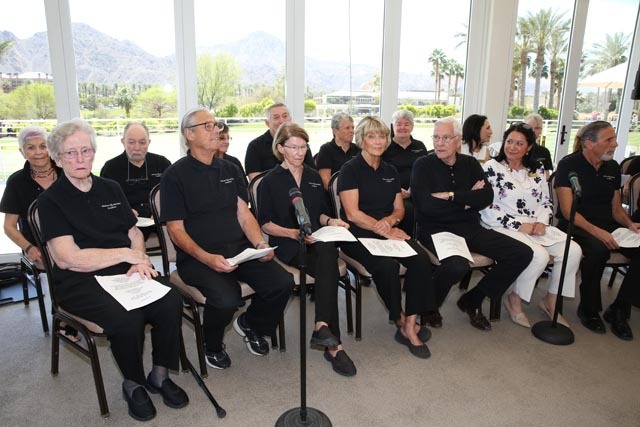 An exceptional performance was held by Alzheimer patients from the music therapy class. Singing three songs and ended with Over The Rainbow. They did a fantastic job and were rewarded with a standing ovation. Music therapy does a beautiful job of helping Alzheimer’s patients with coping with the disease. 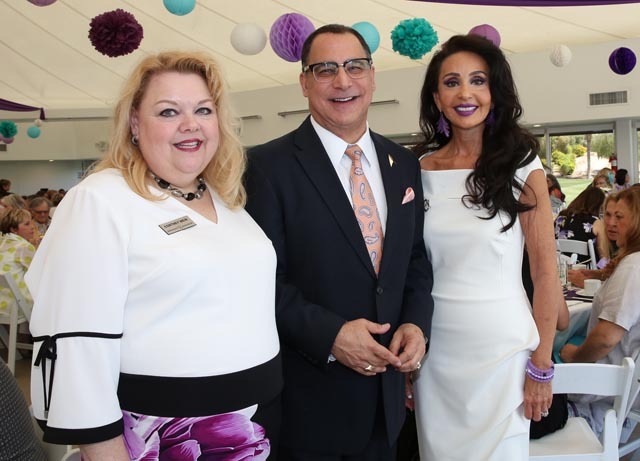 Jackie Kouri is new to the Desert and has done an exemplary job as chair of this event and Board Chair-Alzheimer’s Association California Southland Chapter, advancing programs here. Did you know 1 in 3 seniors will die from Alzheimer’s and related dementia? Alzheimer’s is now the 6th leading cause of death. Every 65 seconds someone will be diagnosed with Alzheimers or dementia. Alzheimer’s hits almost every family at some point. It is a very dreadful disease where loved ones go into their world and can’t even recognize family or friends and need constant care. Family members wait for maybe just one day they will be accepted and perhaps that day will never come which is heartbreaking to watch. Medicaid pays out over 3.9 billion dollars in care. It cost the government 290 Billion dollars in 2018. 5.8 Million people are diagnosed with Alzheimer’s and Dementia in 2018. 18.5 Billion hours of unpaid care by family and friends. The estimated cost of care for a patients lifetime is over 350 thousand dollars. The expenses of diagnosed patients are rising every year. The Alzheimers Association is the leader in research to find a cure and prevent this awful disease. The association provides programs to help those afflicted and helps give caregivers the tools to help them cope and assist a patient.